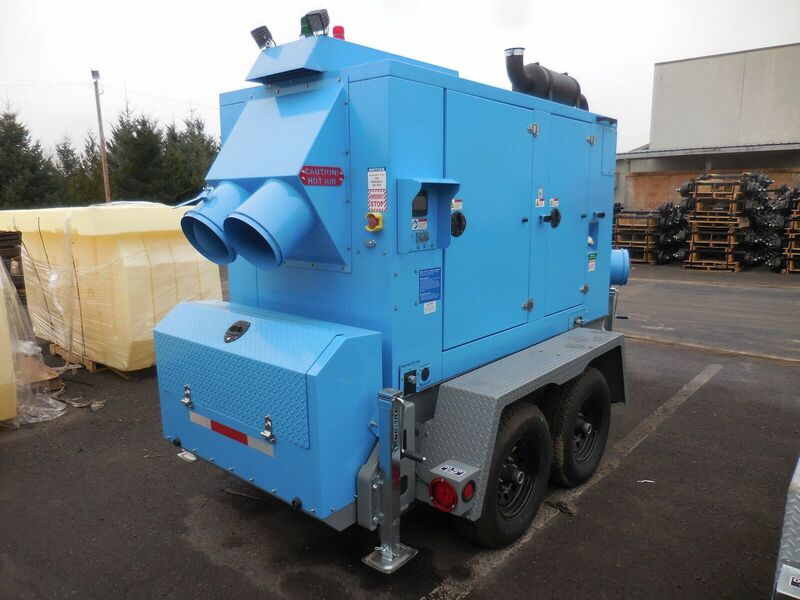 FH1000: Powered by the PowerTech E 4.5L engine producing 1 million Btu of heat per hour. FH1500: Powered by a higher-capacity unit driven by a Powertech Plus 6.8L engine. Both FH series units are safe enough to be widely accepted on Oil & Gas industry jobsites throughout North America. 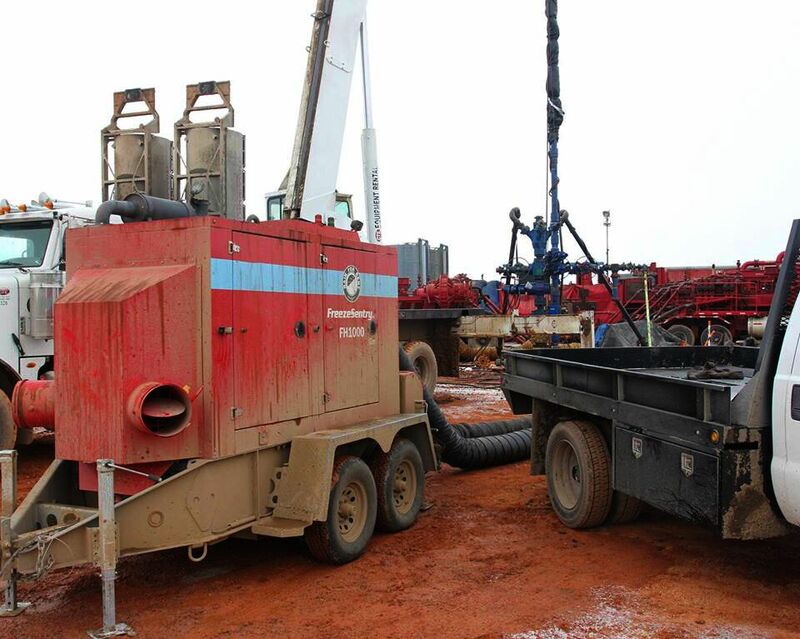 There are current restrictions where flamed heaters are not permitted on drilling sites, plus these heaters require long lengths of hose and pipe to safely deliver heat. Our FH series flameless heaters are designed to solve these problems because they can be safely positioned right where the heat is needed for maximum effeciency.